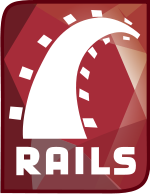 Ruby on Rails(ROR) was first introduced by David Hansson when he was working on the basecamp project. ROR is basically a framework developed on Ruby language. It makes website development interesting and very easy. Though the flexibility of programing is compromised but the programmer gets a speedy decision making advantage and also saves himself from future problems. David Heinemeier Hansson extracted Ruby on Rails from his work on Basecamp, a project management tool by 37signals (now a web application company).Hansson first released Rails as open source in July 2004, but did not share commit rights to the project until February 2005.In August 2006, the framework reached a milestone when Apple announced that it would ship Ruby on Rails with Mac OS X v10.5 “Leopard”,which was released in October 2007. As many other frameworks, ruby on rails(ROR) also works on MVC(Model View Controller ) concept. There each layer is independent of the other. For eg. if you want to do something with application data, you code would be in the model layer which handles database. If the designer wants to implement new template he would have to work with view layer. ROR is getting popular with each passing day. You can imagine the extend of its popularity only by the fact that Twitter and Groupon programming completely done on ROR only. I am sharing some project ideas below which would help you to understand and learn about this extraordinary programming language which I personally use and recommend. Neelix recipe management system : It allows you to organize your recipes and do useful things with them, such as printing shopping lists, meal plans, scaling recipes arbitrarily, printing recipes, and import/export with other programs. Tracks To Do List Application: This application helps you in doing things properly. Dating Website(Lovd by Less): Built with Ruby on Rails, Lovd is a social networking solution that has everything you need to build your community. Gullery Photo Gallery: Gullery is a simple photo gallery built with Ruby on Rails. It works well for a personal portfolio or small photo gallery.